Thanks to my parents' musical tastes, my attachment to Natalie Cole's music happened quite early for me as it was frequently played in my household growing up. So ever since childhood I have admired Cole's distinctive voice and its vibrant ability to genre hopscotch and shape-shift in the myriad of genres she crisscrossed. She was a soul/R&B singer by emotion alone, but she drew out layers of Gospel and jazz, even at times throwing in some traditional practices into the mix, and these variances made her catalog --- one that I feel is terribly underrated --- a unique and interesting one. Legend of song she is. Back before HBO became a destination for scripted shows starring privileged white girls in NYC and ground-breaking documentaries, every summer season, comedian and actor Sinbad would have a live two-hour concert special that featured all kinds of classic soul and funk artists from the 1970s and 1980s. Whenever I talk about these televised concerts, I get all kinds of quizzical looks from people because it seems like I made them up in a wild fever dream or something. No, they happened, and I have VHS proof of it, so ha! Miss Cole was a performer during the concert series second installment, and in tl;dr terms, she SLAYED. Singing through a medley her most well-known 1970s hits, like "This Will Be (An Everlasting Love)", "Our Love", "I've Got Love On My Mind", and (my all-time favorite) "Mr. Melody", Natalie Cole's performance was one of more memorable ones and if you want to know how Cole was in a class of her own this performance is prime evidence of that. Pure fire it is, where Cole sings and scats her high end off, even at times making her background singers and band struggle to keep up. While some other singers may make an act like that appear self-serving, Miss Cole doesn't because to control what comes naturally is just out of the question. I often laugh whenever I read all these sourpuss critics who get on their high horse about how terrible the 1980s was to soul and R&B singers. Okay, sure, synthetic synth work and traditional God-given voices made for a weird mesh, and there were legitimate, and harsh criticisms over the 'sterilization' of soul at this time, but a lot of 1960s and 1970s soul divas like Chaka Khan, Patti LaBelle, and especially Tina Turner, flourished quite nicely in the 1980s, gathering some of their biggest hits and taking some of the most artistic risks of their career. Natalie Cole was also a part of that sisterhood. After overcoming drug addiction, Cole reemerged mightily with a series of singles and albums that put her back on the charts and on MTV's rotation block. Her biggest hit at the time was a electric pop cover of Bruce Springsteen's "Pink Cadillac". Paired with that was the lovely, "I Live For Your Love" and the fantastic n' funky Reggie Calloway-produced, "Jump Start", all from 1987's Everlasting, Natalie's big commercial comeback album. Somewhat misbegotten is Everlasting's follow-up, the 1989 album, Good To Be Back, which I have a soft spot for. According to my Last.fm, I've played "As A Matter Of Fact" more than any other Cole song in my possession, which may be embarrassing to admit, but the song really does kick and is a great companion to her hit 1990 single from the Pretty Woman soundtrack, "Wild Women Do", because of all the fierceness going on. "Miss You Like Crazy" was the biggie top 10 hit from Good To Be Back, though slow jam, "Rest Of The Night" and her cover of The Inkspot's 1942 song, "Someone's Rocking My Dream Boat" show are other great moments of Cole-ness. Speaking of covers, Cole has always had a great ear for cover material, often times stepping out of range to give familiar songs new life. Her 'unforgettable' performances with her father, the legendary Nat "King" Cole were experimental as they were heartfelt tributes, and it led Cole in a new direction with her sound, where she vocally matured into pop and jazz standards, setting a trend for other elder-state pop artists, but also elevating the art of the cover song. 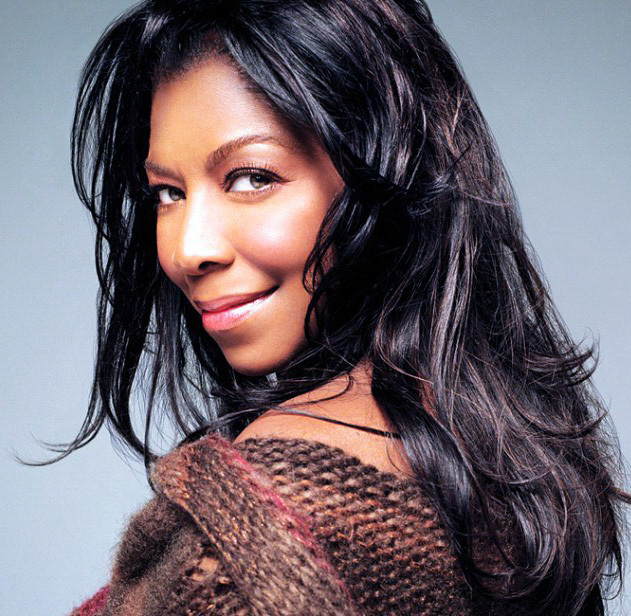 Natalie Cole ---- she was a different kind of lady, a sophisticated songstress who will be forever unforgettable.